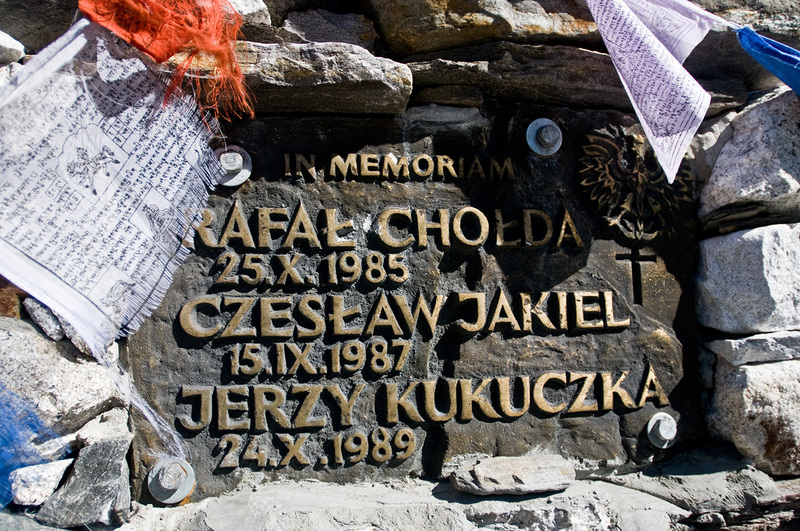 Above Chhukung village, beneath the immense, brooding mass of the south wall of Lhotse, is this memorial to three Polish climbers who perished in separate accidents on the mountain. Rafal Cholda, Czeslaw Jakiel and Jerzy Kukuczka. Kukuczka was the second person to summit all 14 of the world's 8000m peaks, after Reinhold Messner. He also climber four 8000m peaks in winter and made the first ascent, in Alpine Style, of a new route on K2 (with Tadeusz Piotrowski) which has never been repeated. He was a hard man! Respect. RIP.